What I love about scarves is that they immediately upgrade your outfit. Scarves are very versatile because you can wear them and use them in different ways. Plus, they are never out of fashion. It is a classic staple. For this mix & match edition, I wore this scarf three days in a row and styled it in three different ways; as a headband, as a belt and the classic way, as a necktie. As you can see I got a haircut. I was brave enough to tell the hairdresser to cut all the split ends, but that I didn't want to look like Dora. 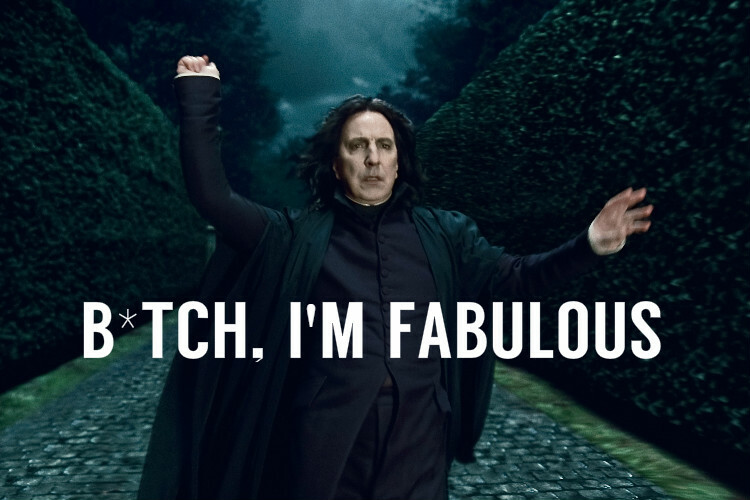 So she gave me Professor Snape's treatment! LOL. I don't regret it, my hair will eventually grow. After thinking I looked like Severus Snape, I wanted to look more feminine so I added the scarf as a headband (Click here to see Snape's comment). For this look, I am wearing a solid gray top with ruffle sleeves. I added big tassel earrings to drag attention to my face and make my new haircut the star of the show! I am wearing some deep blue denim and some leather booties. Also, threw my trench coat on my shoulders because the weather was cool in the morning. Since I am trying to save money and work with what I have, for this second look I used the silk scarf as a belt. I have only a few belts, and I usually wear them around my upper waist to accent it, especially when wearing a loose dress or top. Today, I am wearing it with my wide-leg jeans. I like how scarf colors look combined with the green pants and blue top. I paired it with a navy blue lace-up top and added a leather jacket because it was cold this morning. The last look is the classic look. This is how I usually wear my silk scarves, as a necktie. I like to wear it when my outfit looks very plain. It automatically upgrades it! You can tie the scarf in different ways, like a chocker, like a bow, as a tie, or v-neck back tie. I found this post from Audrey a la Mode that shows five ways how to tie a square silk scarf. I am wearing a classic button up blouse with a black duster cardigan. Although a coworker asked me if I was going to wear high heels for the post (which I considered), I wanted to create an Athleisure style option because I love wearing sneakers. But, some classic black pumps would totally make it look dressier.